LinkedIn is the Filofax for all your professional achievements. Your job roles and your hard-earned skills are at the heart of your LinkedIn profile. So, how can you ensure that they are up to date and in the right order? With a quick edit, of course. It’s quite possible that you have a day job and another where you moonlight in a different role. Depending on the relevance and the kind of future jobs you are looking for, LinkedIn allows you to set one job as your primary one. You can move the other below it even if it’s a current job. Click your profile picture on the right to open your profile page. Scroll down to the Experiences section. Choose the current job which you want to keep as a secondary role. For instance, for me, my editorial job is more important than my own dormant blog. Click and hold the mouse over the Reorder icon on the section you want to move. Drag the section up or down your profile to its new location. Release your mouse to drop the section into that place. The LinkedIn Search algorithm aligns your job title with the skills you have advertised on your profile. Recruiters use skills as keywords to search for the right candidate. So, pay careful attention to the skills and the order of their priority on your profile. Keep the most relevant skill at the top and then graduate downwards. Go to your profile and scroll down to the Skills and Endorsements section. Click the Pencil icon to edit the section. In the next screen, grab the Reorder icon for the skill you want to shift up or down the list. Do note that LinkedIn only allows 3 skills to feature in your top skills. Deselect the Pin icon to move top skill to the Industry Knowledge section. Select the Pin icon for a skill you want to move into the Top Skills section. Your LinkedIn profile needs a lot of attention. 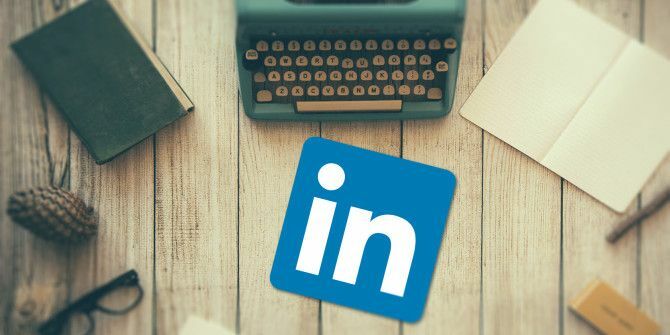 But always think of it as your “live resume” and keep these LinkedIn profile tips 7 Essential LinkedIn Profile Tips for Success in 2018 7 Essential LinkedIn Profile Tips for Success in 2018 Want to improve your search rankings on LinkedIn and get more profile views? These LinkedIn profile tips will give you the boost you need. Read More in mind the next time you log on.